How are you? I hope all had a wonderful weekend. I had to take a breather on Friday, my apologies for not being here with you. I’ve had a bit of a strange month so far, needed time to re-group. 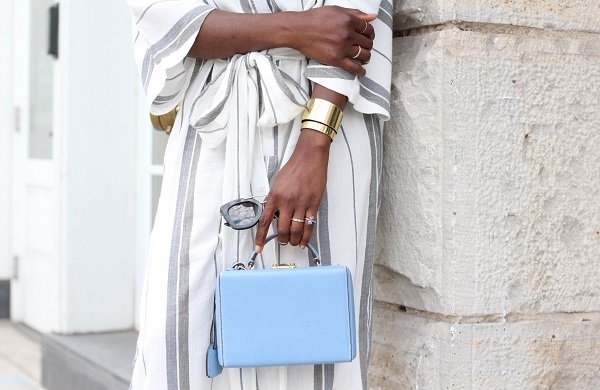 A jumpsuit can be such a chic piece to style, and just because the weather is getting warmer does not mean they have to be cast aside. 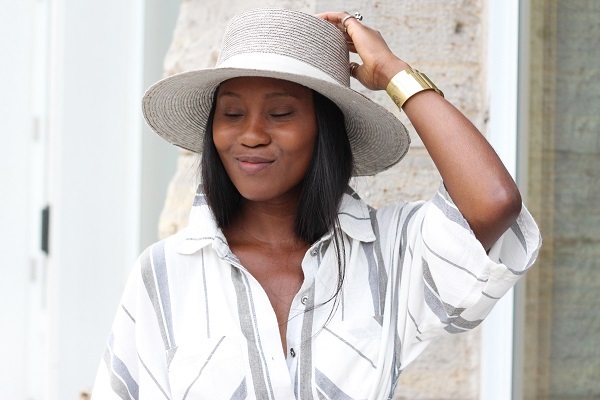 I found this very light weight version, the fabric feels so airy, a perfect summer staple, I promise you’ll love it. I can see this piece dressed up in heels for a fun night out or dressed down with a pair of sandals for a day around town or on the beach. I decided to tie the suit on the front like so, to create the illusion of a cutout on the sides, I also rolled up the legs for a relaxed, “cool kid” vibe.